Location, location,location. 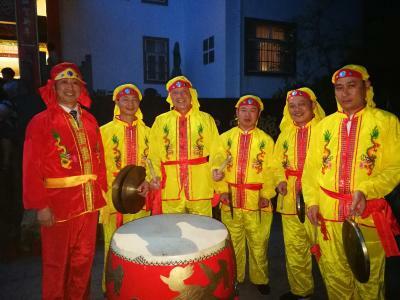 If you understand everything is carried by a porter with two hours mountain climbing. You feel any food is delicious and any good need to be cherished. After a long day of hiking this was a nice place to stay. They had some added touches that made it pleasant. Dove chocolates as a turn down treat, a heated toilet seat 😁, and a great outdoor show after dinner with dragons. Also, I enjoyed the food and i appreciated it alot more since it was carried up by those amazing porters. The location was very good, there was a spot to watch the sunset and sunrise that was only about a 15 minute walk away. The hotel had a restaurant and there were a few other restaurants very near by. The room was basic, but comfortable. We took the eastern cable car up and hiked @2hours to reach the hotel. Then we hiked down to the western cable car to go down. 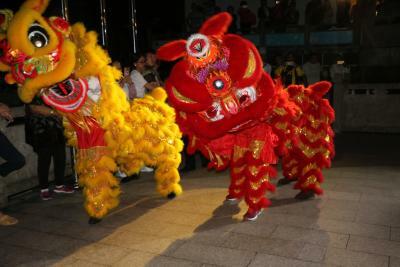 All in all a wonderful experience, but be prepared for lots of steps! The location is ideal. The beds were comfy with good linens. 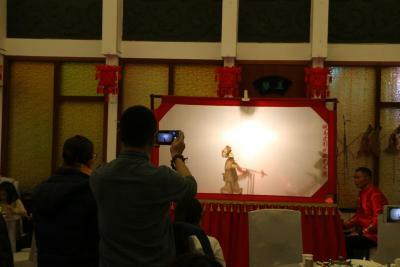 The tea provided in the rooms was excellent. 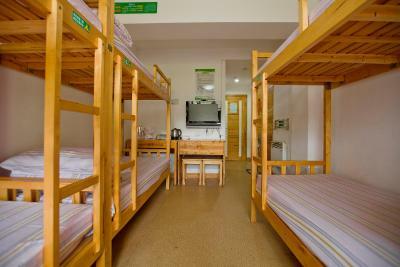 Conveniently located and decently priced (13$ USD for a bed per night - very cheap considering how much the rooms up in Huangshan can cost, which is hundreds), with a working shower and comfortable bedding. I think there was almost nothing I liked. The shower had hot water, and worked fine. Staff are really nice. The location for the sunset & sunrise is perfect! 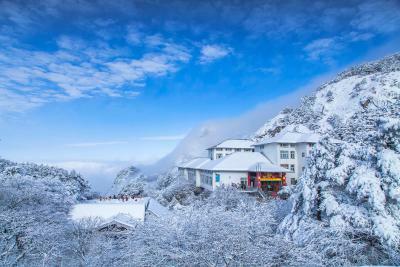 Staying at the summit at Huangshan is expensive. My expectation of the place is low. But property exceeded my expectation. First we were given a free upgrade from a 3-twin bed room to 2-double room (we are a family of 4 including a child). The rooms we got were on 5th floor which has views of the mountain. We have sunset view from our room. The facility of the room is surprisingly good. The hotel generally doesn't provide toiletries and it was written on the reservation. However, our room does provide toiletry. I also liked the wood-paneled rustic look of the room. Later I found out that 5th floor rooms are a different rate. I don't know if I paid for that or if it was just part of the upgrade, but it exceeded my expectation. 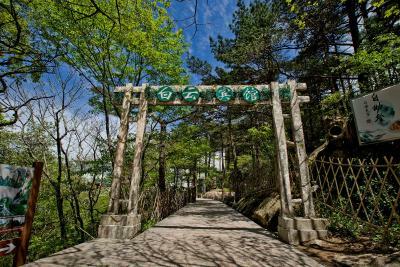 It's in the middle of Huangshan Park, so you're really there just to sleep. Otherwise you should be hiking! 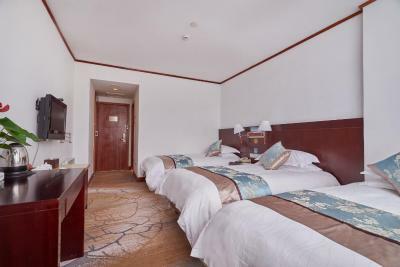 All you need is a comfortable bed and working facilities. The toilet, shower, sink, electricity, and outlets all worked. 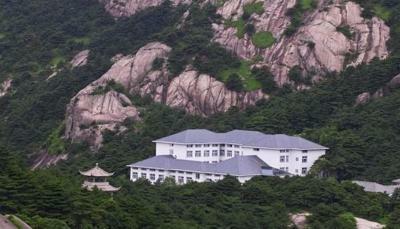 Huangshan Baiyun Hotel is located in Tianhai Scenic Area, Huangshan Mountain, a 20-minute hiking from Guangming Peak. 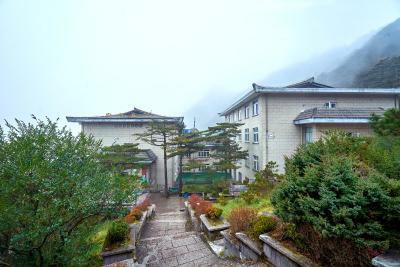 Surrounded by fresh mountain air and lush greenery, it offers cozy accommodations with free wired internet. 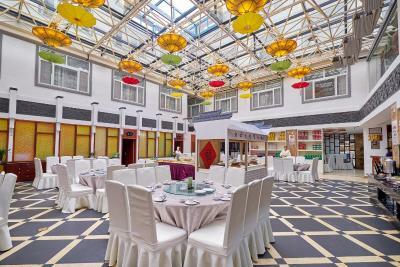 Baiyun Hotel offers free Wi-Fi in public areas and a tour desk which can help guests organize day trips. 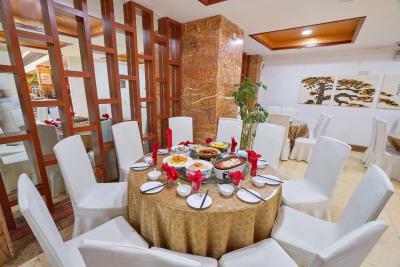 Guests can also visit the beauty salon, relax with a spa treatment, or make use of the business center and meeting facilities. 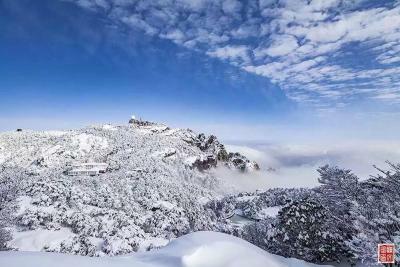 The property is 650 feet from the entrance of Xihai Grand Canyon and a 1-hour hiking from Lianhua Peak. 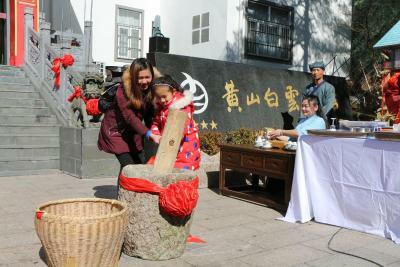 Tunxi Old Street in Huangshan Town is a 1.5-hour drive away. 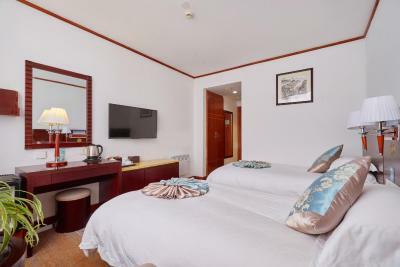 All rooms feature a seating area, a flat-screen TV and a writing desk. Shower facilities and slippers can be found in the attached bathroom. 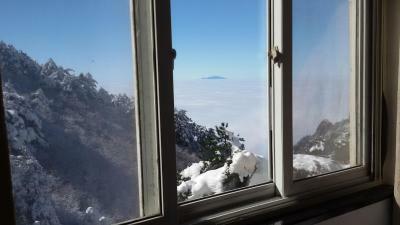 Select rooms offer breathtaking mountain views. 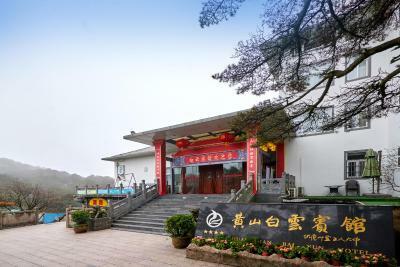 The Chinese restaurant on site offers local Hui cuisine. 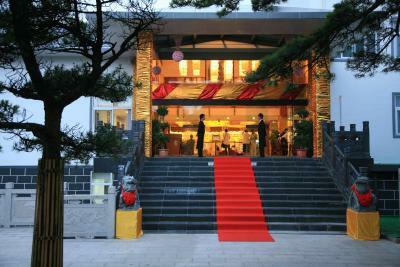 When would you like to stay at Huangshan Baiyun Hotel? 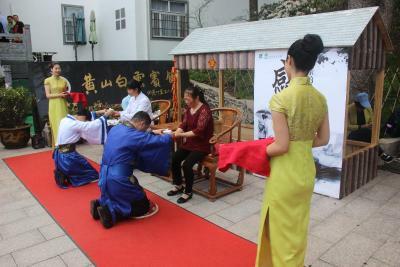 House Rules Huangshan Baiyun Hotel takes special requests – add in the next step! 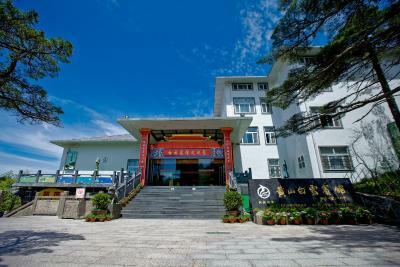 Huangshan Baiyun Hotel accepts these cards and reserves the right to temporarily hold an amount prior to arrival. Please note that the hotel does not provide free toiletries. 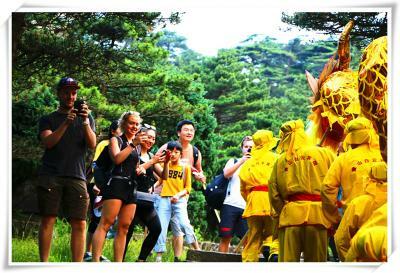 Please note that the cable car to the top of the Huangshan Mountain stops operation after 16:00 everyday. 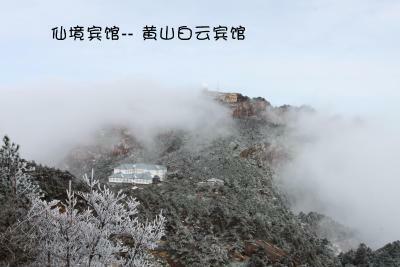 Thus, a 4-hour's hiking is needed to get to the hotel if guests arrives after 16:00. 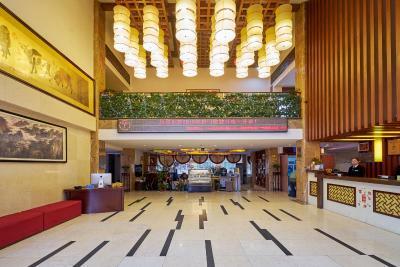 Please note that guests need to bring their passport for check-in. Careful, they arent used to booking.com, the desk staff spent half an hour trying to find my reservation. 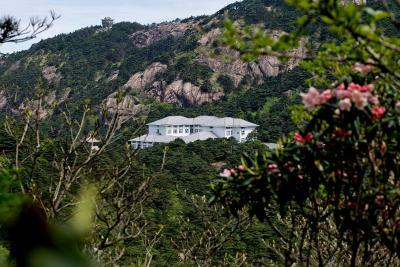 Something that is not Bayun's fault : since Huangshan is very expensive, the dorms where unsurprisingly full of older people, ie 4 out of 6 people were snoring as hell!!! It’s a little bit old, sound insulation is poor. The staff was very helpful to allow me change my booking due to unforeseen circumstances although I booked the room as “non-refundable”. 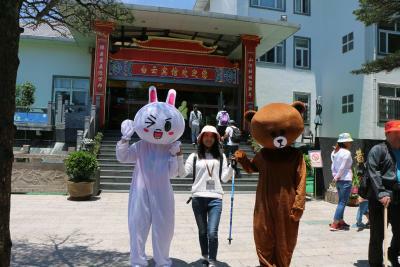 They have perfect location as you can go up the montain through the back 后山 which is more energy consuming on the first day, and the second day when your legs are sore, you can take a leisure walk down the mountain through the front 前山. 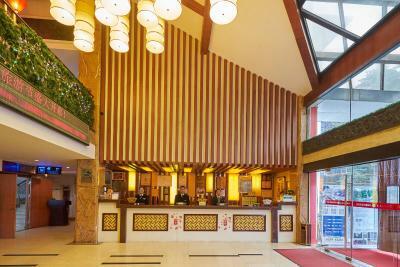 The hotel is accommodative with reasonable requests such as changing room due to faulty facilities and late check out when they can allow. 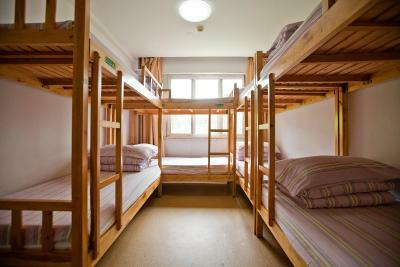 The prices of the one bed in the 8 or 10 people dorm room is ridiculous (around 200y). 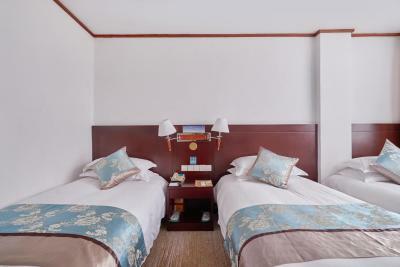 The room was tiny, the beds very short (even for me with 1,6m height, let alone my 1,85m husband). The prices of food is also very very high. 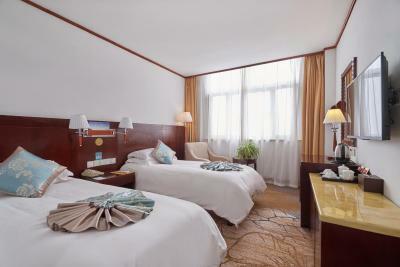 And don't expect to sleep in the dorm room full of young travelers, around half of the dorm room guests we encounter were around 60-year old Chinese people. 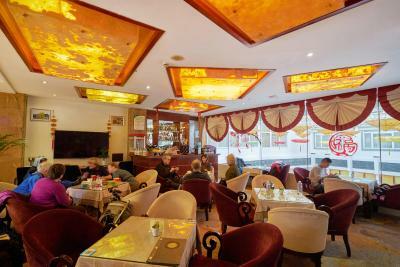 The location was great, buffet breakfast was great and very satisfying. No air condition. Blankets were too warm. Should adapt to season. Location - makes it possible to view sun rise and sun set. I was staying for 2 nights and after the first night when other guest left, the staff merely tidy up the bed without changing the sheets or pillow cover. Recommended to bring your own bed liners. Some dorms have windows that open to a doorway resulting in stuffy rooms. 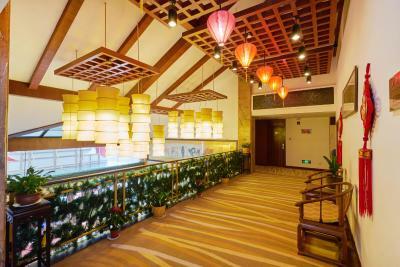 The hotel is located near Tianhai Scenic area. 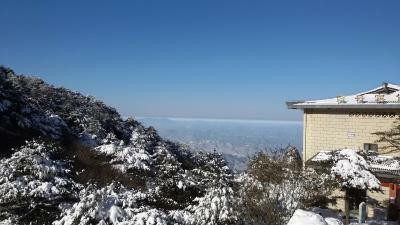 Very near to Guangming Peak and Turtle Peak (both are good places to view sunrise and sunset). It is also located at the entrance to the West Sea Grand Canyon hiking loop. Staff at reception were very rude; they were unable to find my Booking.com booking with the details I gave her, and very condescendingly told me it was my responsibility to liaise with the booking website as my booking was not official. Was asked to contact customer support myself, and sort it out. In the end, another receptionist left me to wait for a while and found my booking details and sorted it out. 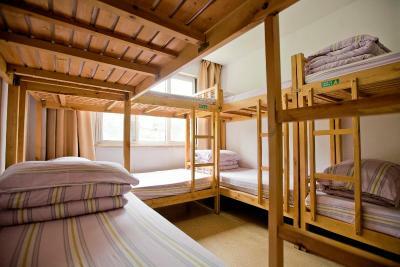 Room and bathroom were very very dirty, but bed linen and sheets looked clean. Would not return to this hotel unless I had no other choice on the mountain. Location, on the mountain so can’t be faulted I suppose. Lots of food options on the mountain in that area as there are stalls selling noodles and buns right outside the hotel. better than expected , would recommend friends stay if go for tour. 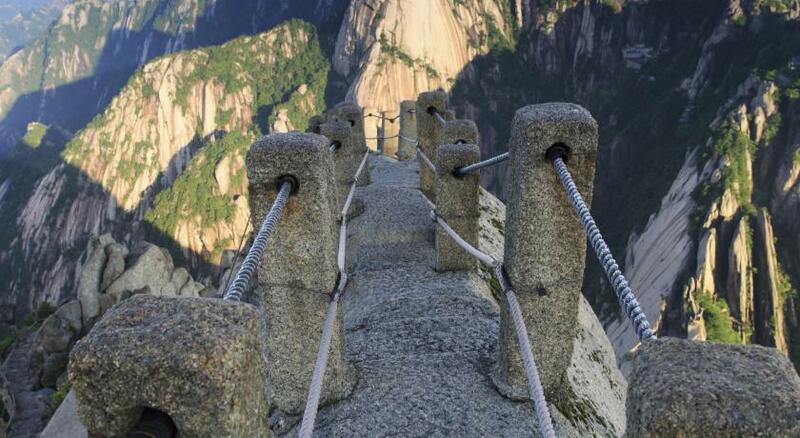 Amazing location right at the Summit of the Huangshan Mountain. 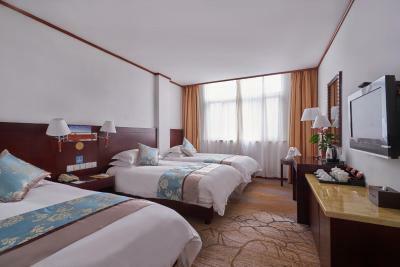 Great atmosphere, comfortable beds, big puffs jackets for you to use during tour stay. Very noisy, so not much sleep but all adds to the excitement of being on such a beautiful mountain. Would highly recommend. We had 2 rooms, triple and twin. The triple room we had an extra bed put in for 200 rmb, so 4 girls in a triple room, not much room but didn’t need it. The food is expensive as anywhere in Huangshan summit. 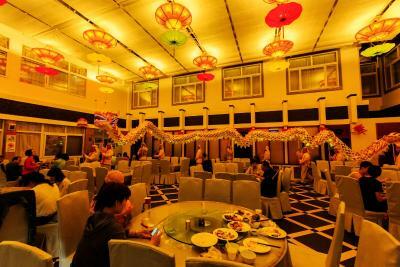 Dinner buffet is 168RMB, breakfast included, otherwise 68RMB. We had dinner buffet, not impressed. My daughter had nothing but white rice and a plain bun for 168.